Our Albany / Hudson Valley regional headquarters is located at 327 Great Oaks Blvd. Albany, N.Y. Locally, our customers bank with us at 44 offices across 15 counties, including: Albany, Columbia, Dutchess, Fulton, Greene, Montgomery, Orange, Rensselaer, Saratoga, Schenectady, Schoharie, Sullivan, Ulster, Warren and Washington County. 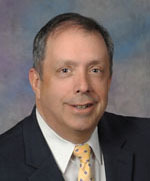 Mark Stellwag is the Regional President of the Albany and Hudson Valley region. He has 35 years of banking industry experience, including 25 years at M&T. He was the Market President of the Hudson Valley region from 2015 to 2017, and spent 10 years as the team leader for M&T’s commercial real estate group in Albany and the Hudson Valley. An active member in the community, Stellwag supports the Dutchess County Economic Development Corporation as a marketing committee member; Hudson Valley Economic Development Corporation as a board member; SUNY New Paltz Graduate School of Business as a business advisory council member; and Newburgh Habitat for Humanity as a committee member. He is a graduate of Pace University. Beth Beshaw is the Market President of the Albany region. She joined M&T in 1996 as part of M&T’s Executive Associate Program, a business school recruitment program which began in 1984 as a route into the bank for talented graduate students, and has held numerous leadership positions in the company. 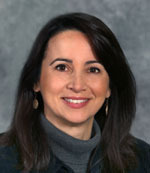 She has a bachelor’s degree from Connecticut College and a Master of Business Administration (MBA) from the Simon School at the University of Rochester. Beshaw has been an active community leader throughout her career, serving as board chair of Girls Inc. and vice chair of the Albany Symphony Orchestra. She is also a member of The Forum of Executive Women, and was named to Albany Business Review’s Women Who Mean Business in 2018.